Investa Pumps Pvt. Ltd. was established in the year 1997 and has been consistently producing Investment Cast (Lost Wax Process) stainless steel, cast steel and other super alloy pumps having a wide range of models. The company manufactures centrifugal and centripetal pumps in horizontal and vertical construction. The product has made a mark in majorly bulk drug pharma units and other chemical process industries. The sales and services has been backed up by a team of distributors all over India. Since inception in 1995, Investa has made great strides, converting its first-mover advantage to leadership position. It has grown in this short time to encompass 3 Pump Ranges offering over 80 models for specific applications. To capitalize on some of the Toughest Process Pump Solutions through innovative Chemical Resistant Materials with the help of the highest quality Foundry and Pump Engineering Methods. To achieve significant Global Presence in Process and Environmental Technology there by reducing Product Life Cycle Costs. 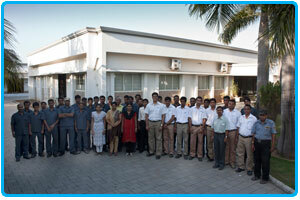 Investa Pumps is today a prominent name in the Indian Chemical Industry. Armed with in-depth knowledge of various Metallurgy and Pump, Manufacturing Standards, Investa Produces High End Quality Products. These compare favorably with its clients in terms of Casting Qualities, On-Time Deliveries, Competitive Pricing and customer support. Extensions in mean time between pump failures. This results in extended pump life. We cater to clients across the length and breadth of India and rapidly exanding in global market. Click here for list of our clients. Our sister concern; Fluorolined Equipment Pvt. Ltd. is a leading manufacturer of centrifugal chemical process pumps in specialized Fluoropolymers for handling of various corrosive liquids. Click here to visit the website. 3, Hind Service Industrial Estate, Shivaji Park, Mumbai 400 028. INDIA. © Investa Pumps Pvt. Ltd.